MIND BODY ZONE hosts classes, workshops and retreats in Yoga, Pilates, and Mindfulness. 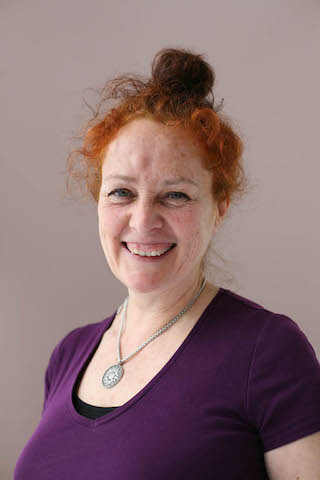 Owner Louise Wallis has been teaching movement for over 20 years. (Scroll down for bio, qualifications & training). Join Louise for a Flow & Glow Vegan Yoga Retreat in Dorset over the May Day bank holiday weekend: Fri 3rd - Mon 6th May 2019. 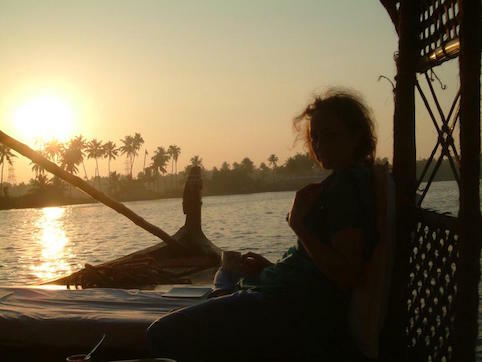 "My first authentic experience of Yoga was in India in 2004", says Louise. "It was part of the regime at a Nature Cure hospital where I was speaking - along with a vegan diet - and worked wonders for the residents, including me. I've been vegan for 36 years, and that was the first time I'd seen Yoga and a vegan diet used together. An approach that is now my specialism. There's a synergy between these two practices, and combining them is a prescription you can give to yourself. As they can support us to regain some control over our bodies, minds, and thus our lives. In an uncertain world, this is both grounding and empowering. " Louise created World Vegan Day in 1994 and co-founded Karamel, the Time Out award-winning vegan restaurant and music venue in North London in 2014. In 2018, with fellow vegan Yoga teacher Rachel Spain, she co-founded Veganahata, an events company promoting Yoga and veganism via talks, retreats and workshops. The name is a fusion of vegan and anahata (the heart chakra). Louise performs under the name Luminous, as a DJ and singer (in the band Luminous Frenzy) and was named one of the 'World's Top 100 Female DJs' in the first list of its kind by Shejay magazine. Louise is a member of the Federation of Holistic Therapists, through which she holds public liability insurance.